(ANTIMEDIA) – You don’t have to look far to find outlandish theories on the nature of the cosmos and human consciousness. These days, notions once relegated to science fiction are finding their way into esoteric academic journals, and from there, into mainstream discourse. One example of this is the Simulation Argument, recently championed by Elon Musk; another is ‘time crystals,’ a tantalizing non-linear phase of matter. The newest symphony of mind jazz being broadcast across the Internet posits new ideas about the embattled theory of “panpsychism,” or the belief that mind is a fundamental property of the physical universe and is imbued into all states of matter. A new paper, published by physicist Gregory Matloff, has brought the idea back into scientific discussions, promising experimental tests that could “validate or falsify” the concept of a ubiquitous “proto-consciousness field.” Matloff also pushes the controversial idea of volitional stars, suggesting there is actually evidence that stars control their own galactic paths. As absurd as the theory sounds, it has several prominent adherents, including British theoretical physicist Sir Roger Penrose, who introduced panpsychism three decades ago. Penrose believed consciousness arises from the properties of quantum entanglement. He and anesthesiologist Stuart Hameroff authored the Orchestrated Objective Reduction (Orch-OR) hypothesis, which asserts, among other things, that consciousness results from quantum vibrations inside microtubules. 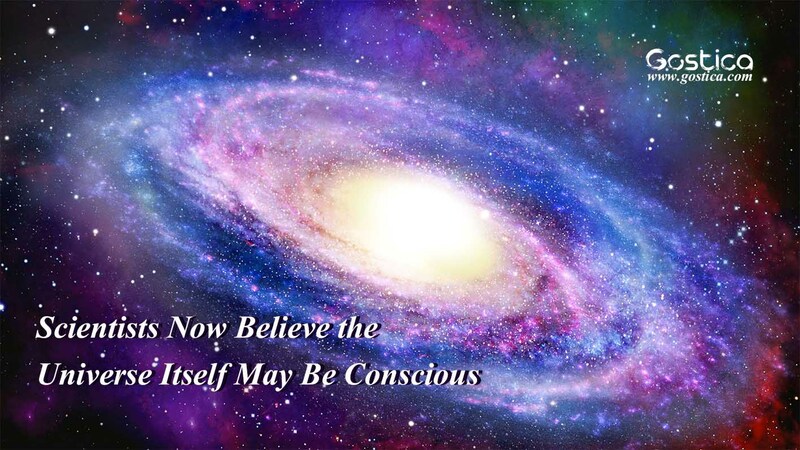 In 2006, German physicist Bernard Haisch took the idea further and proposed that consciousness arises within a “quantum vacuum” any time there is a significantly advanced system through which energy flows. Neuroscientist Christof Koch, another proponent of panpsychism, approaches it from a different angle, using integrated information theory to argue that consciousness is not unique to biological organisms. Matloff and other scientists are moving the argument into a new phase: experimentation. Matloff intends to study the behavior of stars, specifically analyzing an anomaly in stellar motion known as Paranego’s Discontinuity. Recommended: Test: How Connected Are You To The Universe? Matloff wants to know why certain cooler stars appear to emit jets of energy pointed in one direction, a characteristic that seems oddly and inexplicably ubiquitous in the galaxy. In 2018, he plans to use results from the Gaia star-mapping space telescope to show that the anomaly may be a willful stellar action. Meanwhile, as Matloff studies cosmic activity on the grandest scale, Koch approaches the experimental phase of the theory using brain-impaired patients. He wants to know if their information responses match underlying neurochemical foundations of consciousness. He plans to test this by wiring the brains of mice together to see if their minds merge into a larger information system. The quote expresses a general sense that panpsychism oversimplifies the hard problem of consciousness in the universe, an opinion many scientists share. However, Matloff, Penrose, and other proponents continue undertaking the job of venturing outside the margins of accepted science to try reconciling intractable contradictions and anomalies exposed by quantum theory.